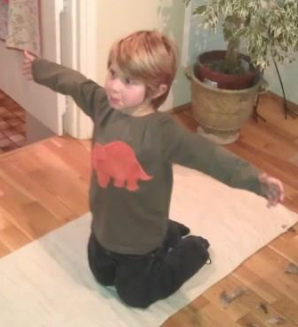 Owl pose is a fun way for your child to open out their upper back and chest muscles, whilst engaging their core. Giving them a chance to counteract a slumped sitting position. 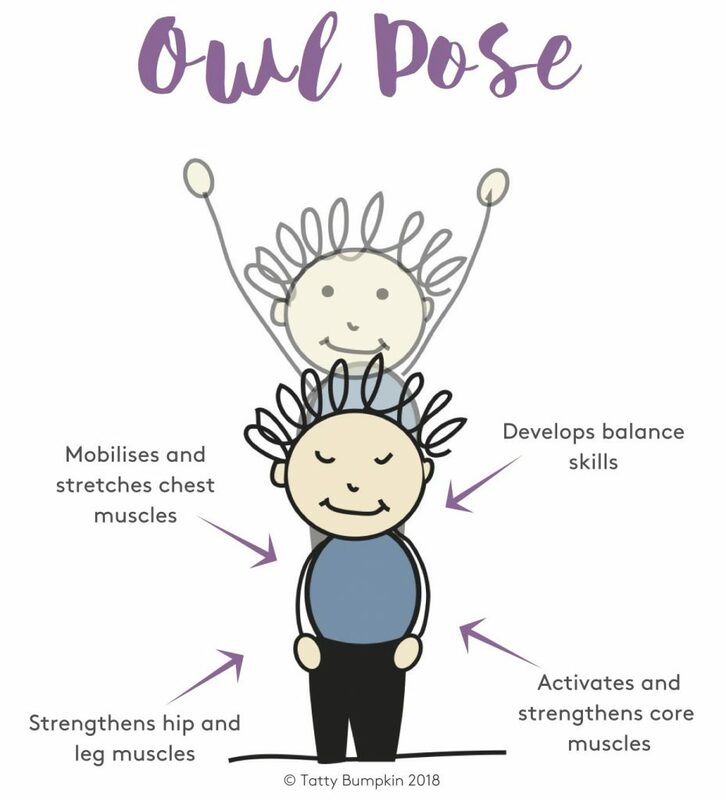 Your child will find it much easier to copy you, and doing owl pose together will support the bonding process between you both. Do respect your body though. If you know you have any health issues i.e. back, neck problems always consult a health professional first. Find a clear place on a non-slip surface e.g. 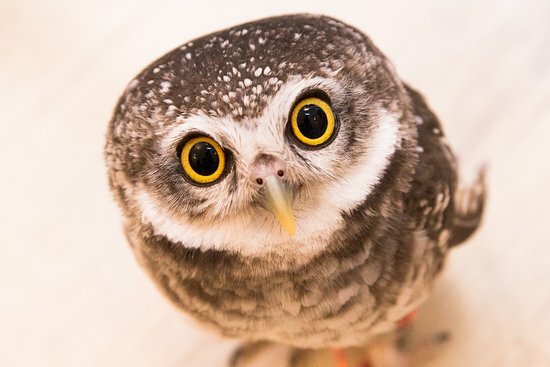 mat or carpet where you can both do owl pose safely. Remember to take off socks and shoes. This will enable you and your child to use your feet effectively as you move in the pose. Sit back on your heels on the mat and encourage your child to sit opposite you, copying your position. Start owl pose with your arms resting quietly by your sides. Then “1, 2, 3 Twit, twoo!” Kneel up together spreading your arms out to your sides and in a wide arc above your heads. Repeat the pose several times so your child has a chance to learn the movement. By using the ‘ 1, 2, 3,’ you will help your child prepare their body for the movement. Technically, this preparation is known as ‘anticipatory postural control’, (see https://starfishtherapies.wordpress.com/2012/06/01/anticipatory-or-reactionary-balance/). Your child may be surprised how far their arms can reach and encourage them to spread their fingers to stretch even further. These arm movements are the perfect antidote to texting and typing, they allow your child to gently stretch out their shoulder, back and neck muscles in a way that feels comfortable to them. If your child is finding it hard to balance, guide them to do the pose sitting crosslegged. It’s better they do the wide arm movements then they can feel the stretch throughout their upper body. Start squatting down on your mat balancing on your toes with your arms by your sides. Together move up into standing waving your arms over your head as before. Hoot “Twit Twooo!” Bring your arms back down to your sides as you squat back down on the floor. Repeat a few times to be a truly wise owl! Owl pose activates and strengthens ‘core’ muscles, especially those in the back and shoulder. Strength here is the foundation for: a good sitting posture, sporting skills e.g. rugby, dance or tennis, writing skills and daily living skills e.g. dressing. As your child flaps their ‘owl wings’ up and down they will be stretching their ‘pectoral’ muscles which run across the front of their upper chest. These muscle groups can become tight because activities such as writing, typing or texting mean they are often kept in a shortened position. As your child does owl pose they will be refining their balance. A child given many, varied but appropriate chances to gently challenge their balance skills will soon gain in body confidence. If your child is doing the harder version of owl pose they will be specifically strengthening their hip and leg muscles. 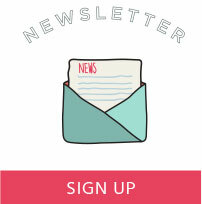 Find out about your local Tatty Bumpkin class here. Or, ask your child’s nursery if they are doing Tatty Bumpkin Yoga activity sessions as part of their day.